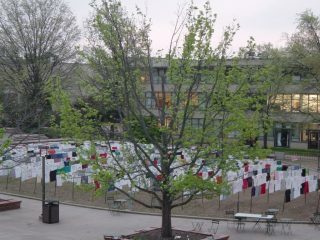 The Clothesline Project is a program started in Cape Cod, Massachusetts in 1990 to address the issue of sexual violence. 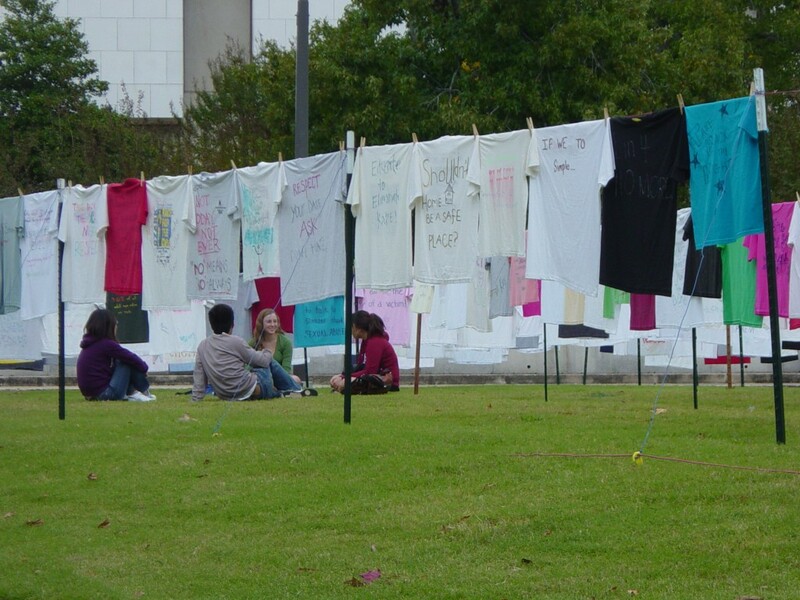 In 2002, the University of Arkansas began its own “Campus Clothesline Project,” modeled after the national project. It is a vehicle for people to express their emotions and views through displayed shirts that have been decorated or contain written messages about the effects and prevalence of sexual violence. 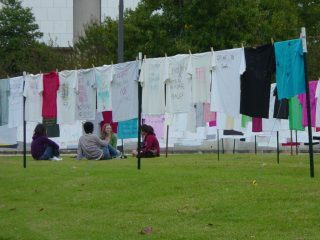 The shirts on display as “The Campus Clothesline Project” have been designed by U of A students, staff, and faculty. 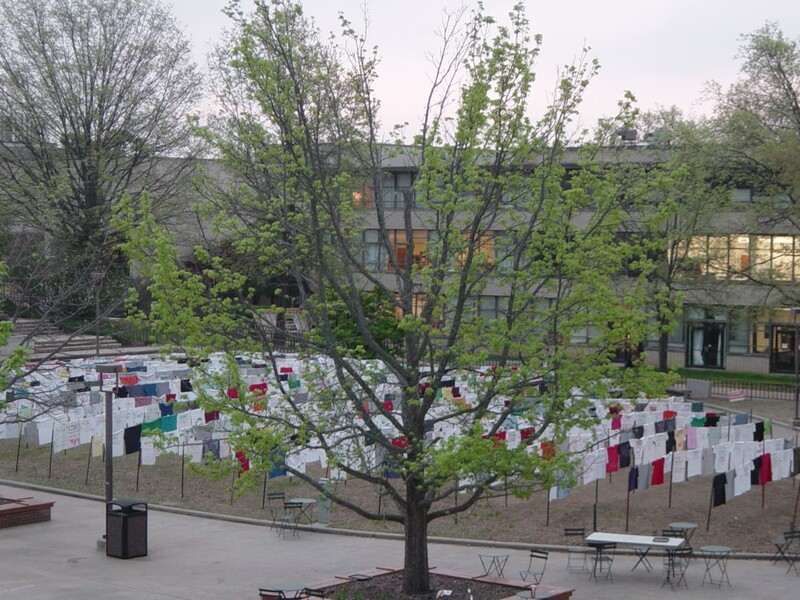 The Campus Clothesline Project started with 80 shirts in its first year and had grown to over 1,150 decorated t-shirts by 2006. Due to rising costs with erecting the poles and wires to hang the shirts, in 2013, it was decided to transform this project into a virtual display. The virtual display is a sampling of shirts designed by the University of Arkansas community. We continue to invite the campus and surrounding communities to participate with and view this emotional and overwhelming display of support for survivors of sexual assault and abuse and to witness the solidarity of the campus community against sexual violence.